SurgeGuard for Corrosive Liquids. 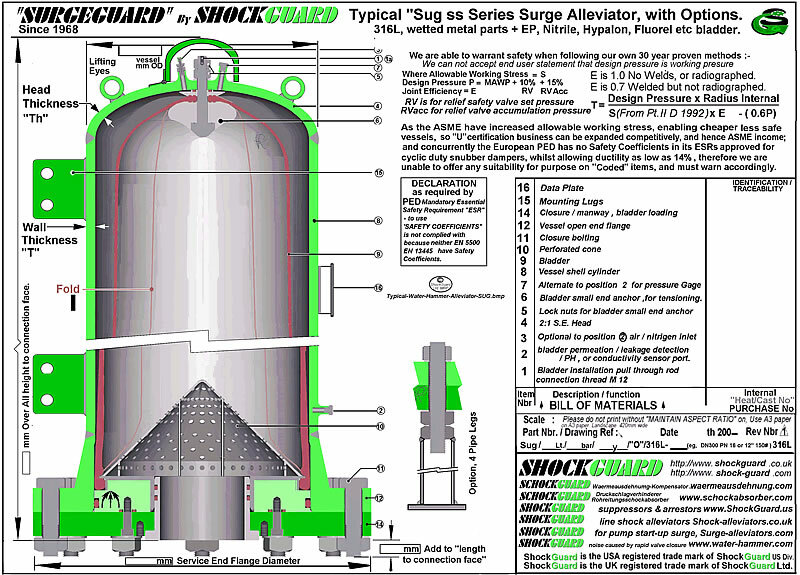 Typical "Sug ss Series Surge Alleviator, With Options. 316L, wetted metal parts + EP, Nitrile, Hypalon, Fluorel etc bladder.